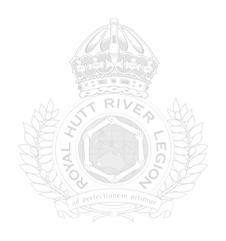 Royal Hutt River Legion - Command HQ Report. Headquarters Command congratulates the 1st Barton Platoon in Perth on it's great service provided to their local people and area. It would be a much better world if more people put in the effort and time that Unit gives to their community. HQ Command has continued to support it's own region with the distribution of magazines to surroungding Dr's surgery waiting rooms as well as other waiting rooms in hospitals etc. HQ has also provided RHRL Donation stickers which are placed into or onto most items that the Force provides others. This quarter also saw HQ Command provide a small stage scaffold kit to a Community and Youth stage group located south of us in the City of Geraldton W.A., a group that we have supported for a few years now. Lt. Casselton continues to make a significant contribution to the platoon. At a time when public libraries, particularly in regional areas, are under pressure to deliver ‘more with less’ Lt. Casselton continues to provide copies of The Monthly to the Shire of Manjimup Public Library. Feedback from the senior librarian indicates that library clients appreciate having this resource. Lt. Casselton also provides gifts, which the Platoon passes on to seniors at Amaroo Retirement Village. Village staff inform me that these gifts are welcomed by the recipients, who receive them on their birthdays. During the 2015 – 16 financial year the Platoon donated 64 gifts to seniors making this a major component of our activities. Finally, Lt. Casselton supported our fundraising activities for the HBF Run for a Reason. Sgt. Oliver continues to be an important member of our team. At her initiative we participated in the 2016 HBF Run for a Reason, raising over $800.00 for the Heart Foundation. With heart disease a major killer of Australians this is an important initiative to help people to leave longer and more active lives. Sgt. Oliver has begun volunteering at her local Salvation Army Store. These stores provide people with the opportunity to purchase good quality pre-used goods at low prices, with funds going to support the Salvation Army’s work. At a time when many people feel that they are under financial pressure supporting an organization such as the Salvation Army makes a positive impact on society. Ms. Jenkins, a long term, committed supporter, continues to aid our activities. She has provided recent, good quality magazines, including unsold stock from a local newsagent, to the Cityplace Community Centre and the Armadale Health Service. Given that the clients of these agencies have limited funds and opportunities to purchase reading matter this initiative makes a noticeable contribution to these agencies. Ms. Jenkins also donated woolen scarves, bed socks etc. as gifts for seniors. Since elderly people, particularly when bedridden, frequently feel the cold this is an important contribution and one appreciated by the recipients. 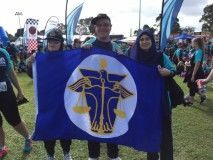 Hajjah Amna Hansia, who supported our participation in the 2015 HBF Run For a Reason, took part in the 2016 event as a member of the RHRL team. This was a great help in our fundraising activities. Support Manjimup Red Cross via an “in kind” donation. Donate recent second hand magazines to doctor’s surgeries and hospitals as needed. Take part in the 2016 HBF Run for a Reason to raise funds for the Heart Foundation. Provide food to homeless people. Donate sanitary supplies to homeless women via Terry White Chemists. Provide relevant books and magazines to the Shire of Manjimup Public Library and other libraries and educational facilities as opportunities present themselves. Provide gifts to socially isolated seniors. All but the last of these have been achieved. Ms. Jenkins contacted the RSL / Legacy to ascertain if they required ‘in kind’ donations. Their advice was that they did not need donations of materials. Instead Ms. Jenkins made ‘in kind’ donations to the Cityplace Community Centre. Maj. Barton posted information on WBHSN about Reconciliation Australia’s National Indigenous Governance Awards. The Platoon posted information on NAIDOC Week on WAIN and WBHSN. Maj. Barton posted a request from City of Melville Heathcote Museum and Art Gallery, seeking artists interested in exhibiting their work at the gallery during their 2017 season, on the Western Australian Information Network (WAIN) and the Warren Blackwood Human Services Network (WBHSN). Maj. Barton posted a media release from the Ethnic Communities Council of WA (ECCWA)“Gender Equity-Follow the Canadian Example says Council” on WBHSN. Maj. Barton posted the ECCWA Newsletter on WBHSN. Maj. Barton posted information on the Mayfair forums, organized by the ECCWA and St. John’s Lutheran Church on WAIN and WBHSN. Maj. Barton responded to a request from a single mother, L., whose daughter had been bullied at school and was having a difficult relationship with her teacher. L. wished to transfer her daughter to a school outside her local catchment area but the principal of the school to which she wished to send her daughter refused to accept the enrollment because they did not wish to accept students from outside their district. I posted a request for advice on WBHSN. a school psychologist, suggested she contact the Bunbury District Education Office and another participant in WBHSN advised that a social worker might be able to help. I forwarded this advice and referred L. to a social worker in her area who used Medicare Bulk billing. L. was subsequently able to place her daughter in a school of her choice. L. wrote to Maj. Barton care of PHR thanking him for his assistance. Posted information on Ride Against Domestic Violence on WBHSN / WAIN. This event saw Labor MP Tony Buti and Liberal MP Tony Simpson leading a group of prominent Perth business people, lawyers and union officials on a 27 cycling event leaving Margaret River on Friday 27 May and finishing at Elizabeth Quay in Perth on 29th May 2016. The unit circulated information about the Woman's Council for Domestic and Family Violence Services (WCDFVS) Homelessness Prevention Week Fundraiser on board the paddle steamer "Decoy" via WBHSN. Maj. Barton distributed the April 2016 issue of Health Bites, produced by Diabetes WA, via WBHSN. At Sgt. Oliver’s initiative Major Barton and Sgt Oliver took part in the 2016 HBF Run for a Reason, raising money for the Heart Foundation. They were joined by a supporter, Amna Hansia, who participated in the walk and helped to raise funds. Lt. Casselton was unable to participate due to being overseas at the time but contributed via fundraising, as did another regular supporter, Ms. Jennifer Jenkins. The team raised a total of $794.25, exceeding their target of $700.00. Notable donors include HRH Prince Leonard, Field Marshal Lord Baikie and Dr. Susan Carland. Maj. Barton and Sgt. Oliver donated 37 magazines, The Big Issue, The Economist, The Spectator, The War Cry and The Weekend Australian Magazine to the Manjimup Medical Centre, a bulk billing facility. Dame Maureen Barton DRO delivered the magazines. Maj. Barton and Sgt. Oliver donated a copy of Durer to the Manjimup Red Cross as a raffle prize. Maj. Barton provided food to six homeless people in Gosnells, Northbridge and Perth. Maj. Barton distributed information on the 46th anniversary celebrations of PHR via WBHSN and WAIN. Maj. Barton, at the request of the Local History Librarian City of Gosnells, searched for K. Claire of Floreat on the 1980 electoral roll. After locating the information Maj. Barton passed this on to the City of Gosnells. Lt. Casselton donated copies of the March, April, May and June issues of The Monthly to the Shire of Manjimup Public Library. Maj. Barton and Sgt Oliver donated copies of Policy (Autumn 2016) and Skeptical Inquirer (March-April & May – June 2016), and Foreign Affairs (May – June 2016) to the Shire of Manjimup Public Library. Since the beginning of June 2016 Sgt Oliver has been undertaking voluntary work two afternoons a week at a local Salvation Army store. Maj. Barton posted on WBHSN two articles from The Economist exploring the pros and cons of a universal basic income, an unconditional government payment given to all citizens regardless of income or workforce participation. Maj. Barton delivered a presentation on Australian far-right wing political groups to the Warren – Blackwood Human Services Network. The presentation covered the typology of the far-right, ways in which the far-right impacts on society, the process by which individuals join radical and extremist groups and ways to assist people wishing to leave radical organizations. A short ‘take home’ exercise, in which participants were asked to analyze a document from the website of a political party and decide if the party was part of the far-right, was provided along with a handout. Feedback was overwhelmingly positive and Maj. Barton was asked to prepare a follow-up presentation on the far-left. Briefed Manjimup Community Resource Centre staff on Office of Multicultural Interests grants. This included providing them with a handout and templates for application forms, a list of successful projects and suggestions as to potential supporters. During the last quarter the Platoon donated 26 gifts to socially isolated seniors in Amaroo Retirement Village. Lt. Casselton and Ms. Jenkins both contributed gifts which were welcomed by the recipients. Health - Support Manjimup Red Cross via an “in kind” donation. Fundraise to raise money for a washer / dryer to donate to the Armadale Health Service Mental Health Unit. Homeless People - Provide food to homeless people. Library and other libraries and educational facilities as opportunities present themselves. courtesy of the '1st Barton Platoon' RHRL.